Two weeks ago was the celebration of Deepavali or Diwali, also known as the Festival of Lights, which marks the beginning of the Hindu New Year according to the Lunar calendar. This holiday is celebrated by Hindus to mark the victory of good over evil. I never heard of Deepavali until I met Wayne, the co-president of the Malaysian and Singaporean Student Association (MASSA). He is also the undergraduate student in my research group which I am currently supervising. I had the chance of experiencing this holiday as well as the food that was prepared. The best way to learn how to cook the food, is to experience the cooking at someone's place. I went to two homes of the association's executives. 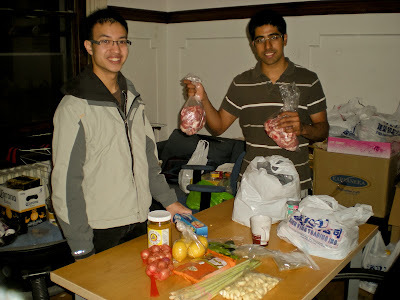 My second stop was at Siva's place, also the co-president of MASSA. He made spicy mutton curry. 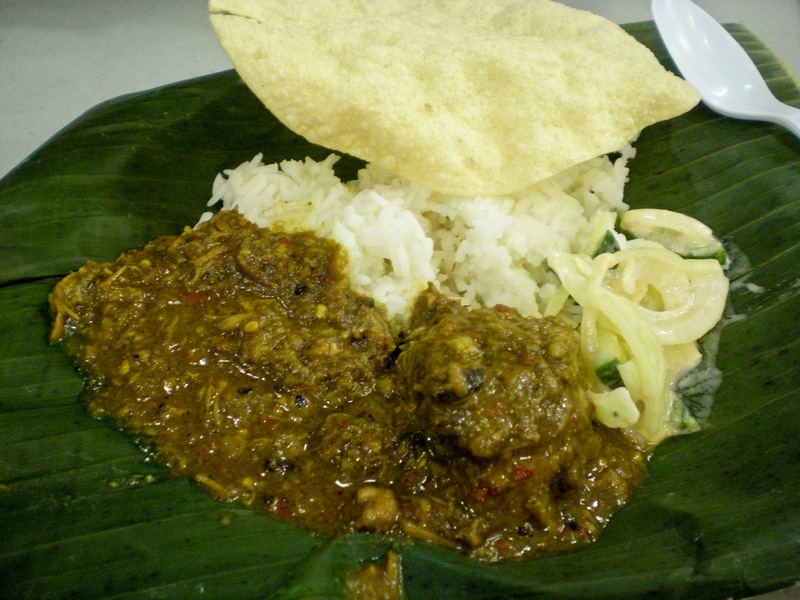 There are several versions of this dish, depending on the spices used and the person who cooks it. This spicy mutton curry is hearty, saucy and full of flavours: a dish where sweet, spicy, salty, tangy, and citrus ingredients are well harmonized. 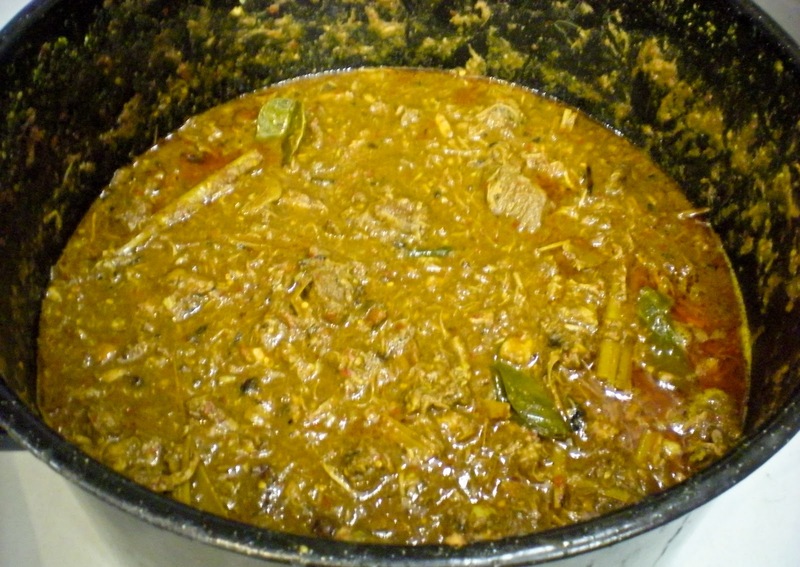 You can find the spicy mutton recipe on Food.com. 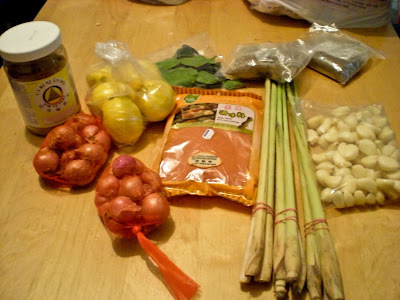 Spices and aromatics for the spicy curry mutton. I will end this post with some pictures that the other members have prepared. 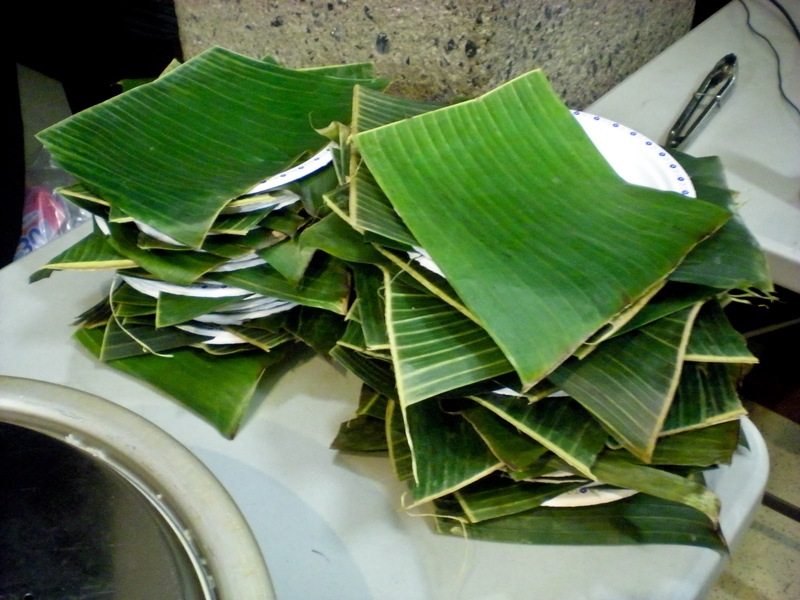 Banana leaves on serving plate. Papadums and Raita. The raita consists of yogurt, cucumber and onions. Spicy curry mutton for 60 people. 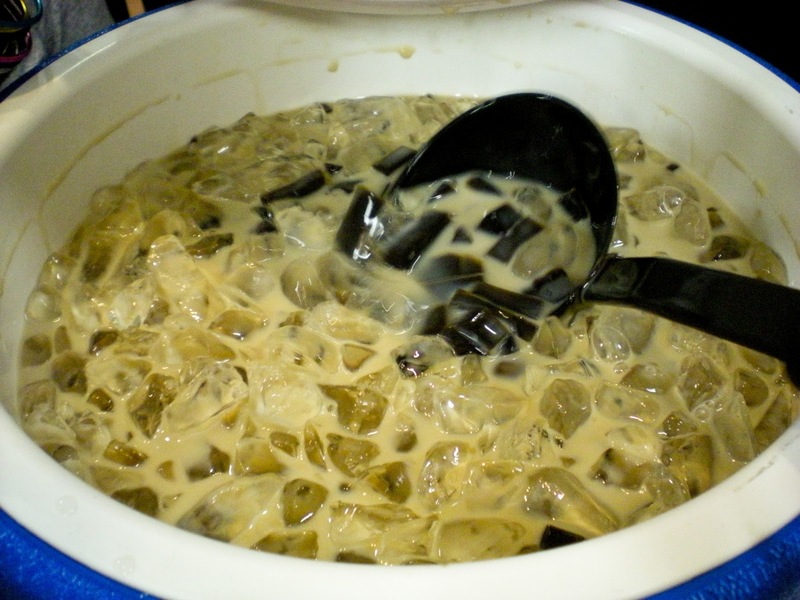 A palate cleanser made of soy milk and chin chow (grass jellies). A job well done. Despite midterm season, they manage to pull the event off. Over 60 students joined and the event was a great success. Congratulations MASSA! Thanks Renata for letting me know. The video should be working now. Goodness me, the mutton curry, papadam and everything else is so tempting and yes, I enjoyed plenty of it during Deepavali. Btw, hope you are doing fine and everything is great over your side and take care. Glad to know that you got a chance to try Malaysian and Singaporean dishes..the curry sound so yummy..
Woww u guys seems to have a fabulous feast, delicious spread. Welocme baack to the blogging world; always enjyed reading you. Thank you for your visit. I looks like you had a wonderful feast. Looks delicious especially the mutton curry. Have a nice evening. I am happy you are up and about Victor. Will keep in touch via blogging and sure looking forward to more recipes from you. Looks delicious! And trying out new cuisine is always a wonderful experience. I love Indian food and curries! Have a great week! Your Indian dish is fantastic!And it looks like the ones that is served in a good Indian restaurant! I didn't know it can be microwaved. I'll let my friends. Thanks Zoe! Me too, I've never heard of Diwali until an Indian family moved to our neighborhood and they became good friends with us. It's wonderful that you get to cook and eat the hindu feast with your friends! hi victor, deepavali is one of the major celebration here in the country. You know something,there's actully a nickname for that soy bean and chin chow drink..many of us here call that " michael jackson". sorry for making fun of MJ's name here..the reason why they call it MJ is because it's black and white..some coffee shops here even put " michael jackson' on their drink menu. haha! yeah, ask your malaysian friends, see if they know it. You can google michael jackson drink or soya bean plus cin cau.. 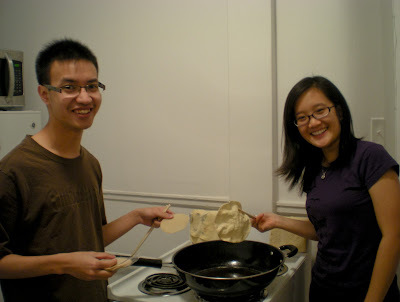 It is fun cooking with friends isn't it? You guys cooked so many yummy dishes. Nice food. I particularly like that mutton curry. 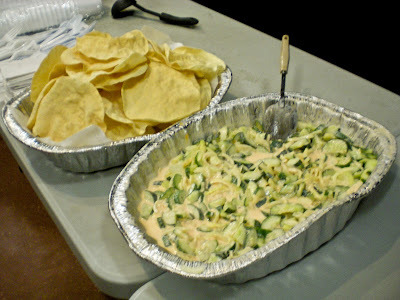 Looks spicy and yummy. What a feast! Looks so tasty and sounds like a lot of fun!